Today, I have the two KBShimmer Polish Exclusives to share with you. Polish Con NYC is next Saturday, April 29th. The only way you can get your hands on these polishes is if you attend Polish Con! If you're not going and want these see if you can find someone who is going who will purchase these for you! We Make Your Dreams Come Blue is an icy blue jelly polish. 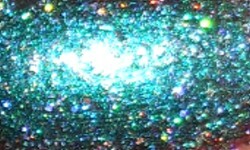 We loaded the jelly base with holographic micro flakes and shimmer. These flakes glow in the light, while turquoise shimmer pops through the flakes for a glowy aqua polish, in other lights, you can almost catch a periwinkle or sky blue color. Colors: As you can see from the color descriptions these are very complex colors. There isn't anything plain jane about these two. I love the mulitchrome shift in Grand Prospect Holo and all of those holo sparkly bits really give it a great multi-faceted look. 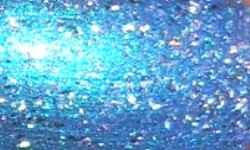 We Make Your Dreams Come blue is a gorgeous lit from within in blue and it glows on the nail. Formula: These all had a nice formula. I think the glitter bits in both of these keep it from being a perfect formula as they're not the most smooth polishes to apply. That being said, I didn't find them unmanageable. I used 2 coats for We Make Your Dreams Come Blue and 3 coats for Grand Prospect Holo. Overall: I think these are some unique and multi-layered polishes. I love the colors for each one and the shimmer and multi-chrome effects. They're definitely some of the most embellished polishes I own. The formulas are good, but they're not the best formulas. I think considering what type of colors you're getting it's not really a drawback. I hope if you're going to Polish Con NYC you can get your hands on these!